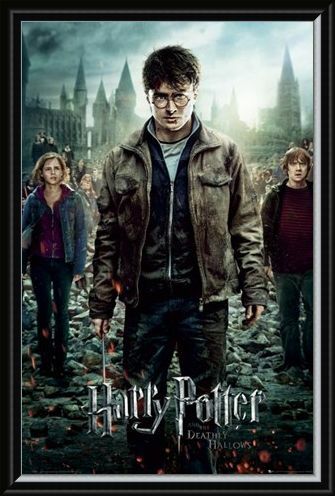 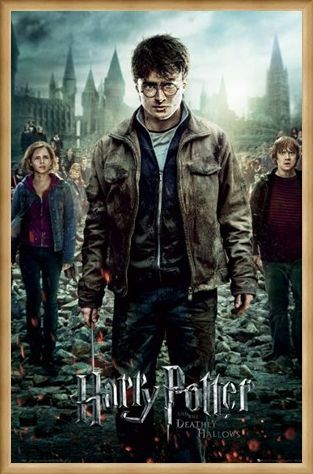 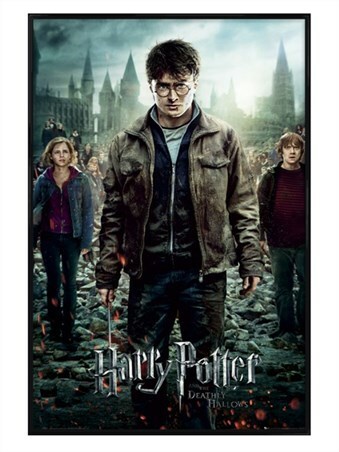 Film Maxi Poster: The epic series of Harry Potter films has finally come to a dramatic end. 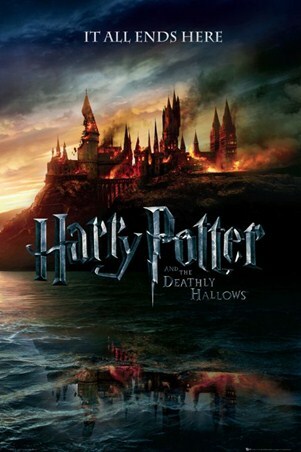 The fantastic second part of the 'Deathly Hallows' was released in July 2011, and features the fearless Harry, the loyal Ron and of course the incredibly clever Hermione as they embark on the biggest adventure of their time at Hogwarts. With the horrified students in the background, the brave trio lead the way out of the devastation that has obliterated the magnificent school of Hogwarts. 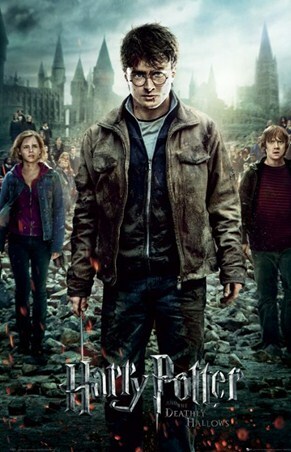 With his wand in hand, Harry emerges from the battlefield, battered and bruised with Ron and Hermione behind him. 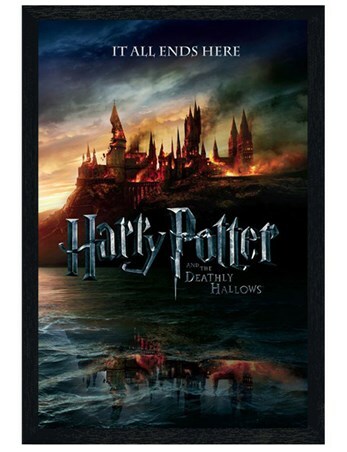 A breathtaking maxi poster, perfect to mark the end of this legendary magical series. 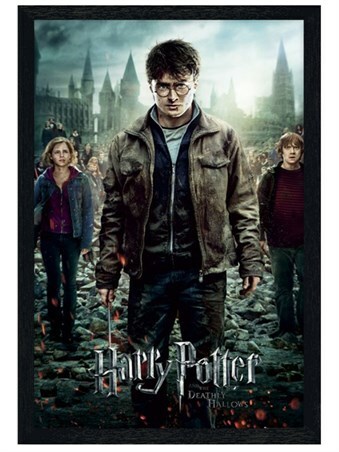 High quality, framed The End is Coming!, Harry Potter and the Deathly Hallows poster with a bespoke frame by our custom framing service.